The masses have spoken and they’ve said, “Don! We must know more about your business trip to Wisconsin.” Well, OK, you (read: my kids) asked for it, so here you go. 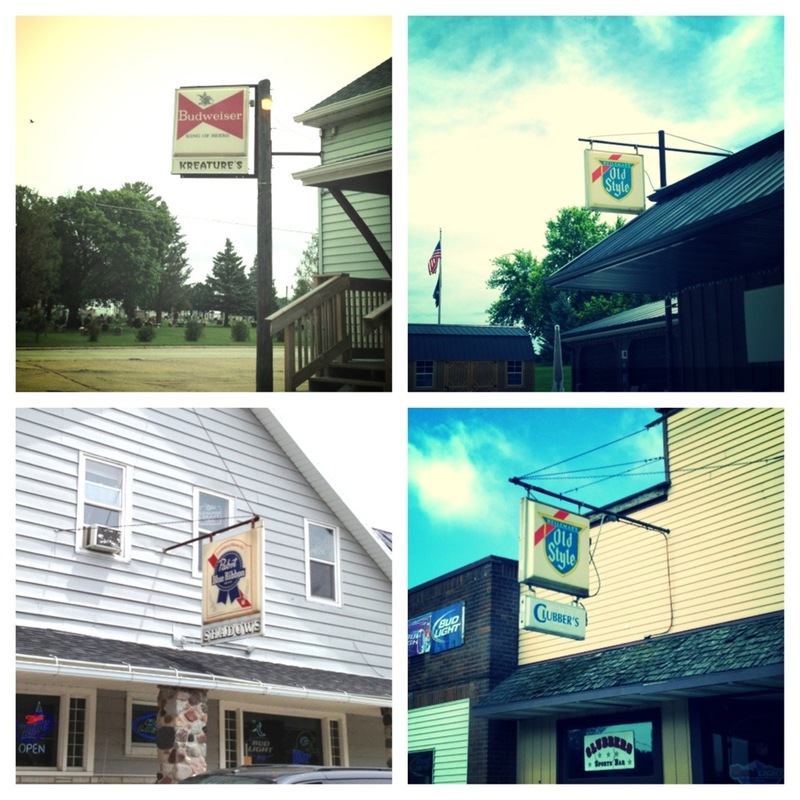 Following my 15-minute “burst” life project plan, the cropping and PicStitch‘ing of these photos took most of the time it would take to write a blog …but you’ll notice, my fascination with beer signs and things-on-roofs were highlights for me. Mostly, this blog is some more photos, but remind me, I have FOUR amazing stories about why Wisconsin people are the nicest people in America. It’s as close as you can get to Canadian kindness in the U.S., is my guess. Oh, and I decided last night that every one of my blog entries is going to have “a point”. A reason for being posted (other than as a photo album for my kids). So, what’s the point? Observe life. Make art. All of life is art, if you look for it. For my children, I’m hoping that showing them these pictures and this blog, and telling them stories will somehow cultivate in them a sense of curiosity and wonder. If I were to look at every business trip as a jail-sentence, I’d mope around and go into my daily meetings lethargic and trapped. Instead, because I was focused on the interesting things, I put my mind in a “discovery mode”. Like anything, curiosity takes practice, and the more curious you are, the more likely you are to ask questions. Sometimes I give my 10-year-old grief for asking silly questions …questions I know she knows the answers to. Wait. Before you ridicule me, just try this one on for size. Truth is, it’s how she tries to strike up a conversation. So I coached her a little and said asking questions is OK, but make them count. Ask me if I’ve already bought fireworks for Up North. Ask what night the city’s fireworks are. Ask why we have fireworks as a tradition on 4th of July (because I honestly don’t know the actual reason, and when it all started, but I would want to find out). 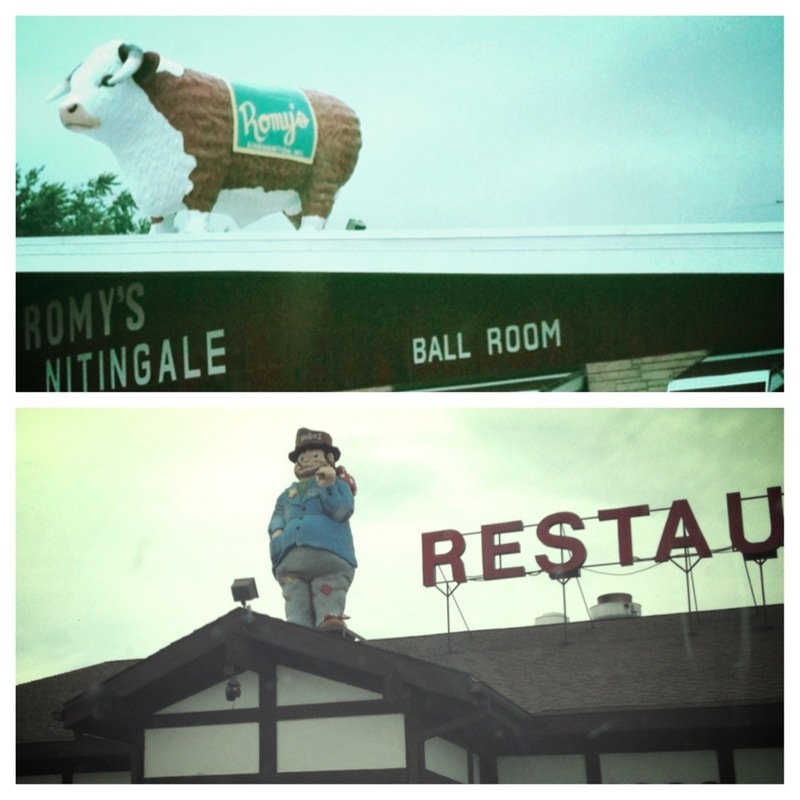 Why is there a cow on the roof? Why is there a hobo on the roof? Now … on with the photos. Oh, and yet another trip where I was able to catch-up with an old friend. 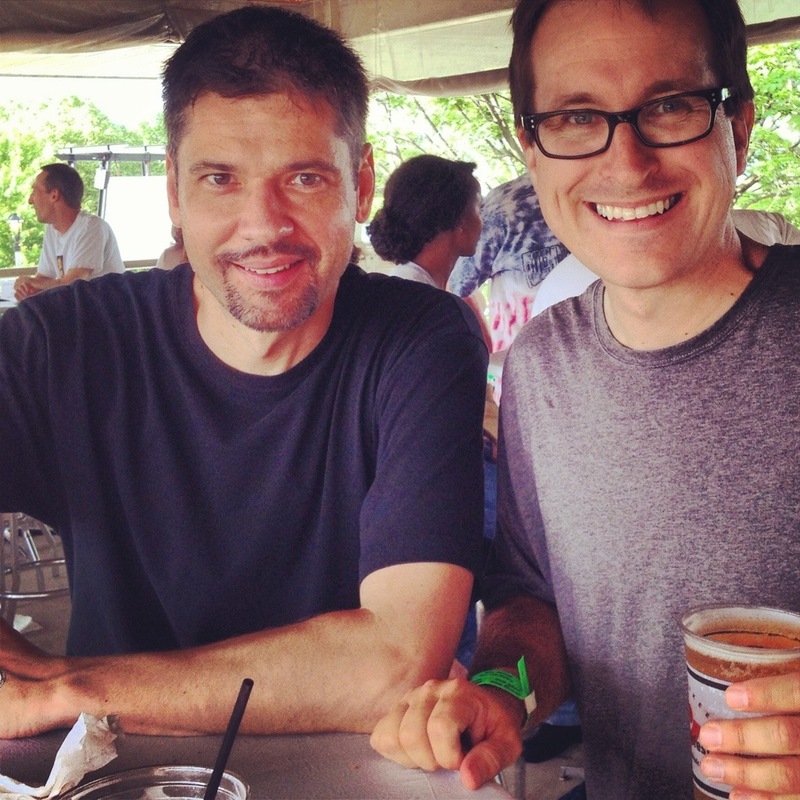 Here’s me and Dave at the opening night of Milwaukee’s Summerfest, supposedly one of the biggest music festivals in the world. I was able to see a singing DJ guy and watch a buncha kids rockin’ out to bands I don’t recognize, and as I approach my 40th birthday, that helped me feel nice and old. Also, yes, I know my hair is messed up in a weird way in this photo …I almost didn’t post it, but heck …at least I’m 40 and still have my hair. Right? Sorry, bald guys. 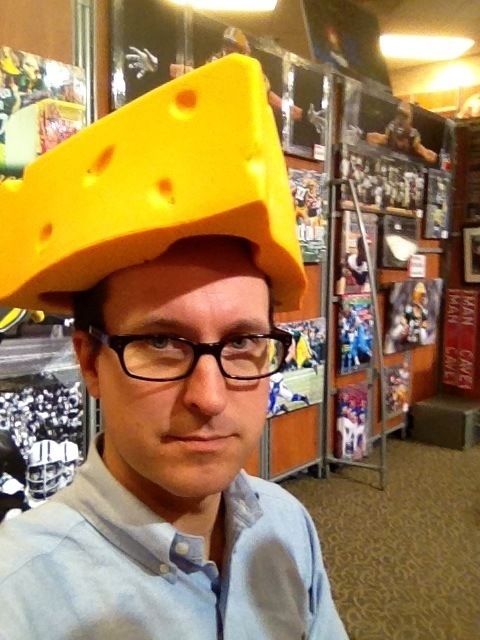 I felt obligated to, at least, put a cheesehead on. These things aren’t a novelty in Wisconsin. In fact, when I was in Milwaukee’s business district, I saw many men in suits with cheesehead hats and they would tip them and bid “good day” to passing damsels. That’s allz I gotz for now. Seriously …remind me to tell you about how nice people are in Wisconsin. Love the photos from Wisconsin. Glad you got to Summerfest!